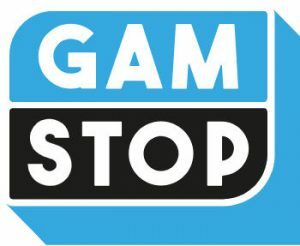 Two new names to UK's GamStop - Jo Watts and Kevin Beerling! It goes without saying that in the UK responsible gambling is a serious thing. And apparently, GamStop (GS) a leading regulatory body in Britain is heavily recruiting these days. In fact, GS just welcomed two new non-executive directors to pioneer their National Online Self-Exclusion Scheme (NOSES) project. The two new directors bring with them a wealth of experience and may even help the organisation to reach its goal. Indeed, as we all know, GS wants to become a license condition for online operators in the UK. So, let’s meet the two new directors. After all, they might have a lot to do with how operators play the game in the future in Britain. Jo Watts and Kevin Beerling have a combined 35 years of relevant knowledge in the sector. In fact, many believe that the two new members will give authority and visibility to the NOSES project. Watts has a solid background in data and analytics. In total, the man spent 15 years focusing on risk management and customer analytics. Beerling skills, on the other hand, include over 20 years as a board member of various businesses in the financial sector. So without a doubt, these two make a great addition for the organisation which focuses on making internet gambling safe and fair for everyone. GS is a free service that helps people controlling their spending in online casinos. In essence, it’s a self-exclusion service. Players can use GS after filling up a short form. Players need to give information like postcode, date of birth, e-mail and restrictions too. After that, GS communicate with operators. For now, this service is only available in Great Britain and Northern Ireland. While GS is useful for some things, it’s not effective for other things. Indeed, it’s important to point out that this service does not affect email communication. For now, it only helps people to track or get control of their gambling habits.